In 1702, Sudbury's three parishes (All Saints, St Peter, and St Gregory) were incorporated by a local Act of Parliament For erecting hospitals and workhouses within the town of Sudbury, for the better employment and maintaining of the poor . The Incorporation was administered by the Sudbury Court of Guardians. A workhouse was set up in buildings that had formerly housed St Gregory's College. Hartest operated a parish workhouse from around 1718. A parliamentary report of 1777 recorded local workhouses in operation in the nearby Suffolk parishes of Alpheton (for up to 35 inmates), Assington (20), Buers [Bures] St Mary's (50), Cavendish (30), Great Cornard (20), Little Cornard (14), Glemsford (50), Hartest (30), Lawshall (20), Melford (150), Nayland (40), and Newton (24), and in the Essex parishes of Bures (up to 9 inmates), Belchampotton (9), and Belchampotton St Paul (15). Bures had a least two parish workhouses. One, located beside 'The Manse' at the top of the High Street, could house 50 residents. It was demolished soon after its closure in 1836. Another, with space for up to 9 inmates, was at the bottom of Station Hill in Bures Hamlet, at a property known as the 'White House'. 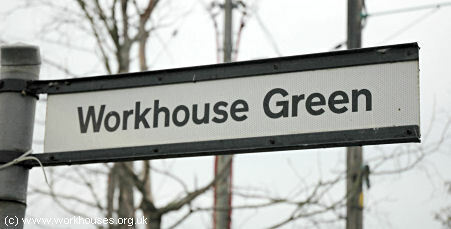 A hamlet to the south of Sudbury bears the name Workhouse Green, presumably because one of the buildings there was a workhouse. Suffolk: Town of Sudbury and Liberties thereof (4), Acton, Alpheton, Assington, Boxted, Bures St Mary, Cavendish, Chilton, Great Cornard, Little Cornard, Glemsford, Hartest, Hawkedon, Lawshall, Long Melford (2), Nayland, Newton (near Sudbury), Shimpling, Somerton, Stanstead, Stoke (near Nayland), Great Waldingfield. Essex: Alphamstone, Buer's [Bures] Hamlet, Ballingdon, Belchamp Otten, Belchamp Paul, Belchamp Walter, Borley, Bulmer, Foxearth, Gestingthorpe, Great Henny, Liston, Little Henny, Lamarsh, Middleton, Pentlowe, Twinstead, Wickham St Paul. Initially, the new Sudbury union employed three workhouses: one at Sudbury for able-bodied men and boys over 13, one at Bures for aged and infirm men and women, and one at Melford for able-bodied females up to 16 and boys from 7 to 13. In 1836, plans for a new single workhouse were instigated with the purchase of the former Sudbury parish workhouse and its grounds for £500. The contract included 'two cottages near adjoining one of which was used as a nursery for the Small Pox and was also called the Pest House and the other was made and converted into a stable.' 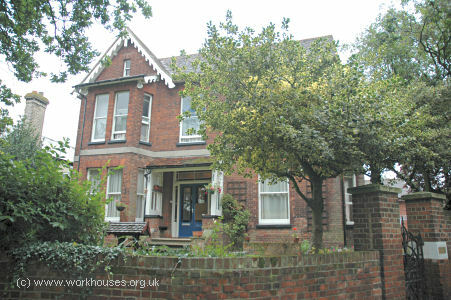 In addition, an adjoining one and a half acres of land called Workhouse Piece was acquired for £400. John Brown of Norwich was appointed architect for the new building and the building contract for £7,110 was given to Messrs Warner Liddiard and Robert Kitton of Cornhill, London. A variety of problems delayed progress on the construction work. On 5th October 1836, the architect found faults in some of the brickwork including arches at the centre of the building which had to be rebuilt. The clerk of the works was dismissed for being incompetent, but his successor turned out to be illiterate. In November 1836, a fire destroyed workmen's tools resulting in a £339 insurance claim. By March of 1837, the Master and Matron had been appointed, together with a schoolmaster and schoolmistress. In June 1837, the workhouse received its first inmates. In December 1838, there was an outbreak of smallpox in the workhouse and admissions were suspended. 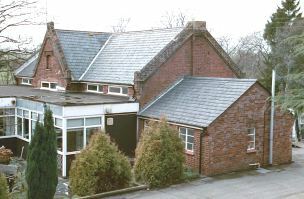 The following year, sick wards were provided by alterations to the buildings in the entrance courtyard. Further substantial alterations and additions were made in 1848 at a cost of £4,000. The workhouse location and layout are shown on the 1902 map below. The workhouse comprised a single range running north-south with a number of cross-ranges at each side. Sudbury from the south-east, 2001. A separate hospital block was erected at the north-west in 1875-6 at a cost of £650. 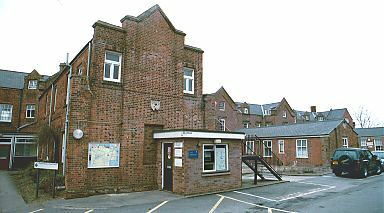 Sudbury hospital block from the south-east, 2001. In the 1920s, a new receiving block was built at the east of the workhouse. 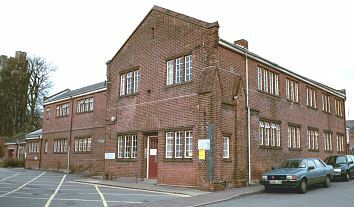 Sudbury receiving block from the south-west, 2001. By the 1920s, the workhouse was known as Walnut Tree House, then after 1930 as Walnut Tree Hospital. By the 1920s, the Sudbury Union had established a home at Crofton House, on the Croft in Sudbury, not far from the workhouse. In 1924, it could accommodate 25 children, with Miss A.M. Todd as its Superintendent. Suffolk Record Office, 77 Raingate Street, Bury St Edmunds IP33 2AR. Very few records survive. Holdings include: Printed accounts of relief paid (1858-63); etc. The Early History of Sudbury Workhouse ms. at Bury St Edmunds Record Office.